I just removed this rubber T connect which I bought from Clarks 3 years ago when I changed my tank. Either this is 1965 vintage part or ethanol is the culprit. 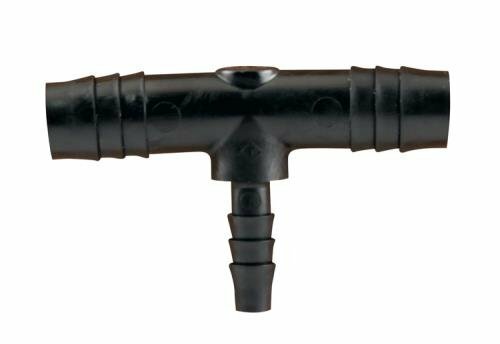 Has anyone used a plastic T like this one here, or should I go with clarks again? Heat issue, I would think. I would try to configure something with metal "T" didn't Corvette filter have fittings for both the fuel lines and the return line. > Heat issue, I would think. this is at the tank, no heat there. Oh, sorry. I thought it was in engine area. I would go with the plastic but coat it with silicone rubber on the exposed plastic to keep stresses down on the plastic. California Corvairs sells a metal one and Underground has a hard plastic one. On my previous Vair restoration of a 1964 Spyder coupe, I installed the Clarks turbo "T" fuel return fitting and was still on the car 13 years later when I sold the car. That was prior to heavy use of ethanol fuels. I burn only No-E premium in my current Corsa and fuel injection rubber hose where needed. > Underground has a hard plastic one. +1000 on the California Corvairs brass connector. I had the same experience with the Clarks repro rubber one...mine cracked in less than 1 year from new!! Had the CC brass one on the car for 2 years now, no problems. Or you could put a 3/16" steel elbow in the filler pipe like a 68-69. Look for a Fuel Tee at any number of places. I found this on flea bay. 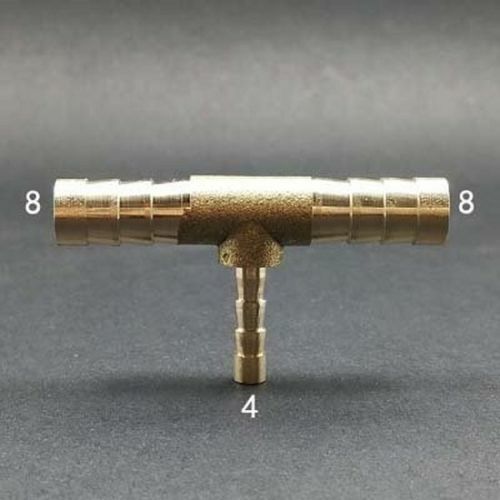 It is advertised as "3/8" HOSE BARB TEE Brass Pipe 3 WAY T Fitting Thread Gas Fuel Water"
It has a Buy It Now price of $2.10 plus $3.25 shipping. The tee from ebay that the Catholic guy posted won't work since all three fittings are the same size. The Corvair needs 1/2" for the vent hose and 3/16" for the return hose. There's not alot of room to fit any tee where they go so constructing one from multiple pieces usually makes it too large to install correctly. I don't know that the caraholic person is Catholic (I never asked her though). But I agree, all the fittings are the same size and the car needs 2 different sizes on the "T". > pipe like a 68-69. My 66 Corsa turbo has the 3/16” tee in the filler pipe. Since I never took one apart before, I thought the 66 had this provision standard. I ordered the “Tee” from Clarks but was at a loss where it went ? Personally I would use steel or brass before relying on plastic for a fuel line. 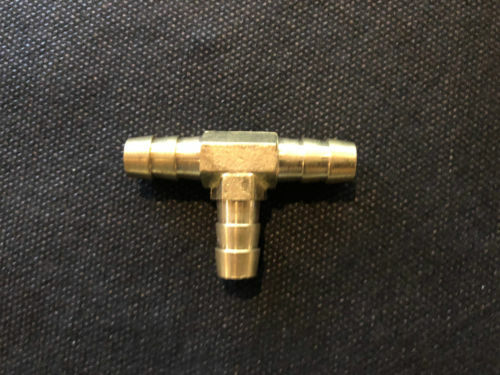 I converted my EM to a 3/16 metal pipe coming off the filler neck like the later models eliminating the "t"
I posted the brass Tee simply as an idea what to look for. With a little effort I would think a Tee with a smaller barb coming out the side could be found. Hey LOOKIE HERE. IS this Better? It is a 5/16" on two ends and 1/8" out the side. Edited 1 time(s). Last edit at 10/08/2018 04:11PM by Caraholic4life. Here is the link to the brass T at California Corvairs. THE PHOTO IS INCORRECT IN THE LINK BUT THE DESCRIPTION IS CORRECT FOR THE PART. Ca Corvairs part can't be beat. Another +1000. I have one on both my turbo cars. Anyone have a picture of the CC part? Edited 1 time(s). Last edit at 10/09/2018 06:13PM by MattNall.